Spacious villa with a beautiful veranda, thoughtful details (bath robes, slippers, bottled water, etc), great outdoor spaces and landscaping, very kind and accommodating owners. Great facilities for young children. 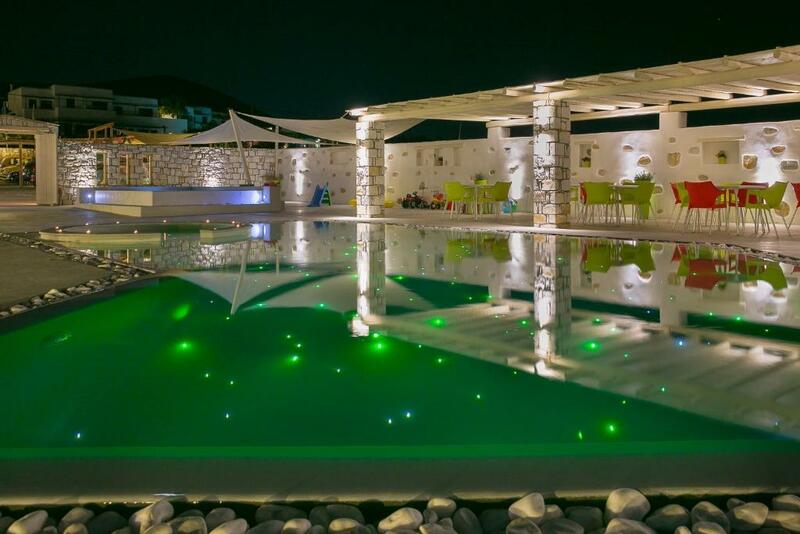 Close to best beaches, tavernas, shopping, but also secluded from the crowds. The villa was spotless on arrival, the pool area is really relaxing. 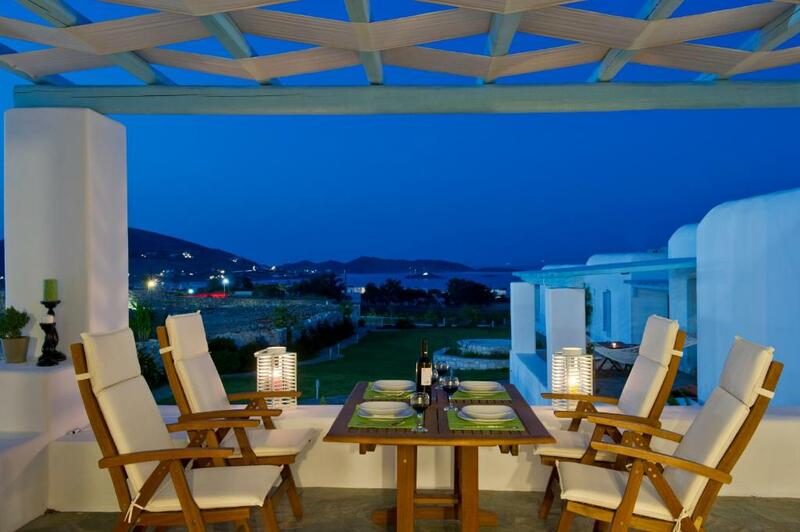 Blue Mare Villas was a beautifully kept property a few kilometres from Naoussa. 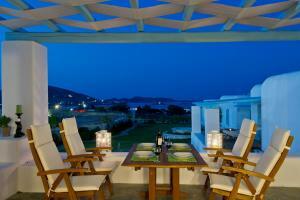 It has spacious grounds including a large pool and views over the sea. The hosts were lovely and generous. Breakfast was delicious and there is excellent bar service at the pool through the day. Perfect spot to explore Paros from! Villa was absolutely lovely and the owners were very friendly, really helped us out when we needed to go to the grocery store, generally very accommodating. Would definitely recommend staying here. The owners took hospitality to a whole new level, their villas are great and the setting is amazing! The hosts were so lovely and welcoming and friendly. And the breakfast was amazing. The place is amazing,people kind and helpfull,easy to go by car in Naoussa and to the beach. We had a wonderfull vacation. Many thanks to Stamatis and his wife. The view from our terrace was great. Nice breakfast. Lock in a great price for Blue Mare Villas – rated 9.6 by recent guests! Featuring modern architecture, Blue Mare Villa in Agios Andreas features a swimming pool with hot tub, and offers self-catering units with free Wi-Fi and views to the Aegean Sea. 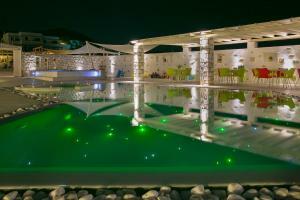 A pool bar serving snacks, drinks and fresh juices is also available on site. Opening to a balcony, all bright units at Blue Mare are individually decorated and come with a flat-screen satellite TV and living room. They feature 2 bathrooms with a hairdryer, built-in shower and free toiletries. The fully equipped kitchens include a dining area, stove and kitchenware. The seaside village of Naousa, where guests can find various taverns, shops and mini markets, is located just 1.2 mi away. BBQ facilities lie within the premises. Other facilities include a children's swimming pool and playground. The beach of Kolibithres lies 1.2 mi away and Paros Airtport can be found at 9.3 mi. Parikia Port is 3.7 mi away. Free private parking is possible on site and bicycle and car rental service can be provided. Airport and port shuttle service is possible upon charge. 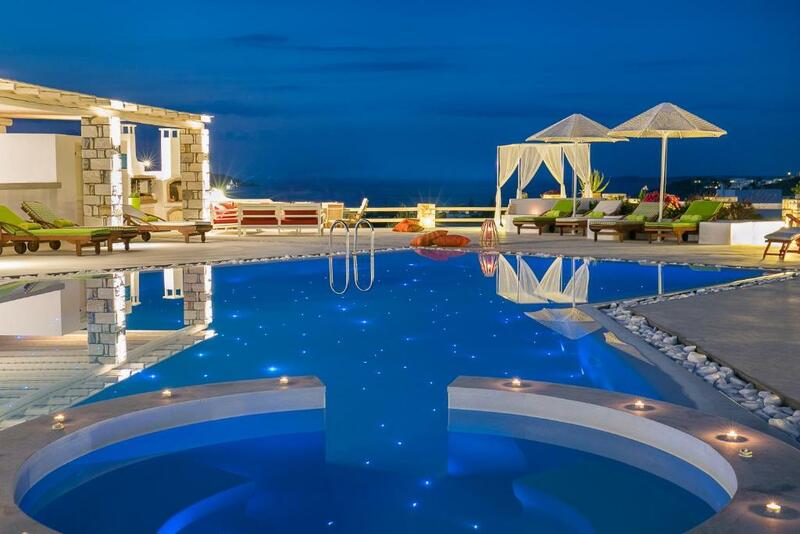 When would you like to stay at Blue Mare Villas? Opening to a balcony with Aegean Sea view, this air-conditioned apartment features a modern design and comes with a flat-screen satellite TV and seating area. A fully equipped kitchen and a dining area are also included. Opening to a balcony with Aegean Sea views, this air-conditioned apartment features a modern design and comes with a flat-screen satellite TV and seating area. A fully equipped kitchen and a dining area are also included. Opening to a terrace with private hot tub and garden view, this air-conditioned villa features a modern design and comes with a flat-screen satellite TV and seating area with fireplace. A fully equipped kitchen and a dining area are also included. 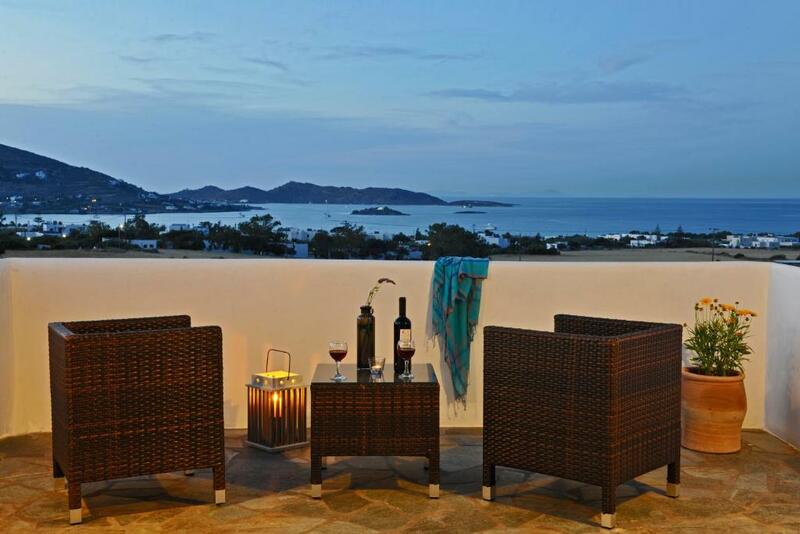 Featuring Aegean Sea views, this split-level, air-conditioned villa opens to a balcony with a hot tub. It features a modern design and comes with a flat-screen satellite TV and seating area. A fully equipped kitchen and a dining area are also included. House Rules Blue Mare Villas takes special requests – add in the next step! One child from 9 to 18 years is charged EUR 30 per person per night in an extra bed. Blue Mare Villas accepts these cards and reserves the right to temporarily hold an amount prior to arrival. Kindly note that in case of a refund, the bank expenses are non refundable. The property reserves the right to pre-authorize the credit card of the guest. Please inform Blue Mare Villas of your expected arrival time in advance. You can use the Special Requests box when booking, or contact the property directly using the contact details in your confirmation. Absolutely loved this property. The hosts were very helpful and friendly. My family (two adults and two children 9 & 10) stayed in a 2 bedroom villa, which was perfect. The pool was lovely as was the breakfast. Would highly recommend! !